For a long time I was reluctant to draw people. But the more you draw faces, the more you realize that everything else you draw is just not that interesting or challenging. And despite feeling that I might be intruding, I brought a sketch pad to the nursing home today and drew another resident. I had some difficulty capturing the texture of the wrinkles on her cheek but I think the likeness is good, especially the deep-set eyes. 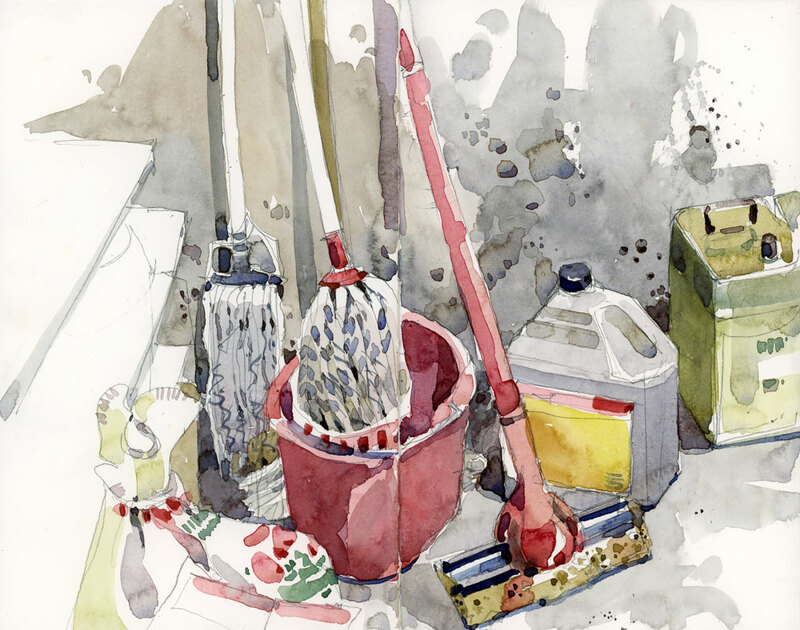 I’m always reluctant to draw in nursing homes or hospitals — somehow it seems like an invasion of privacy. 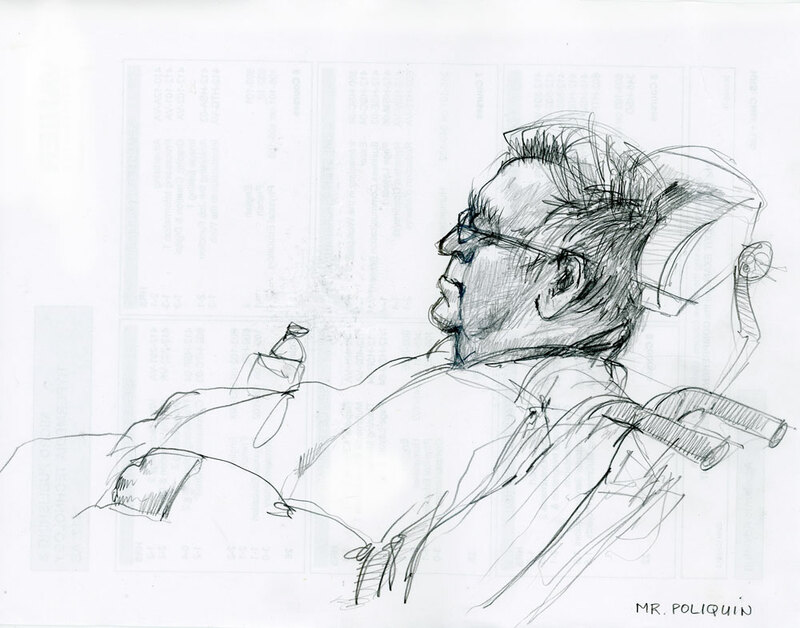 But Mr. Poliquin was listening to a beautiful Romanian choir and was quite content to let me sketch him. I didn’t have a sketchbook with me but I had my trusty Muji pencil and a piece of letter-size scrap paper (the other side of which comes through in the scan) and that did the job. 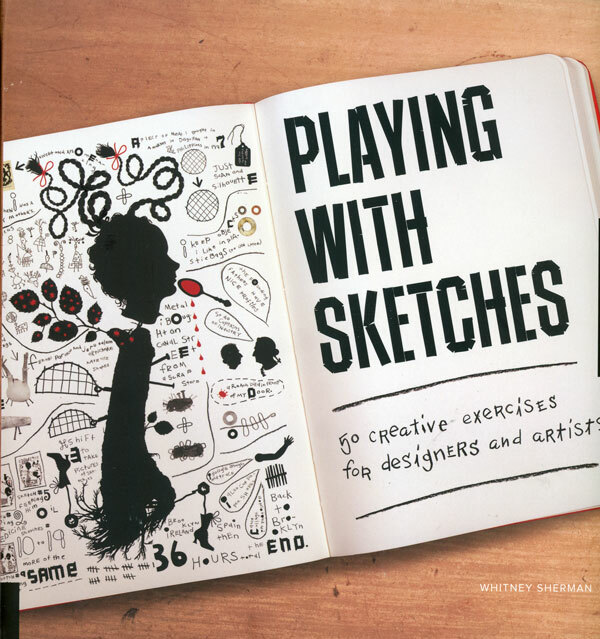 Today I received my copy of Whitney Sherman’s “Playing with Sketches: 50 Creative Exercises for Designers and Artists”. It’s a great book, full of creative ideas for your sketchbook and filled with examples of work from artists around the world. 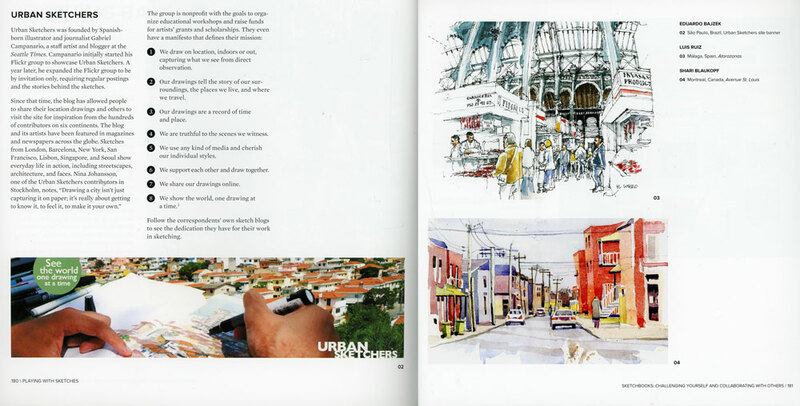 I am very flattered that USk founder Gabi Campanario chose one of my city sketches in the section on Urban Sketchers. I guess this is the first time that my work is featured in a book. Anyway, one of the 50 ideas in the book is called “One Day, One Theme”, meaning that for that day you just draw coffee cups or shoes or hairstyles. My twist on this is that I will do “One Sketchbook, One Theme” so I intend to fill this sketchbook with still lifes from my house. I haven’t really had time to give the book a good read through yet but I’m sure there are lots of great ideas that I will be trying. 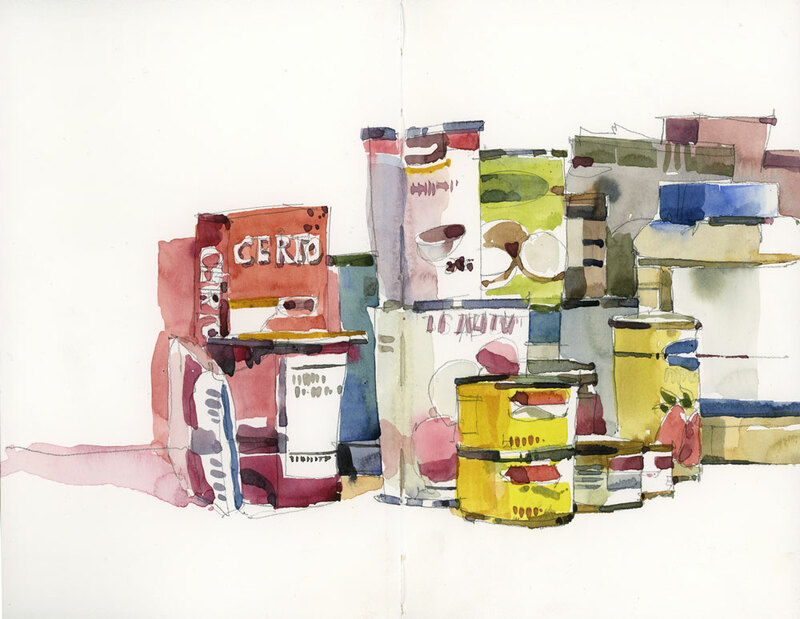 When I’m looking for something to sketch, the cans in the pantry have just as much variety in value, colour and shape as the row of colourful buildings that I painted this summer in Girona, Spain. 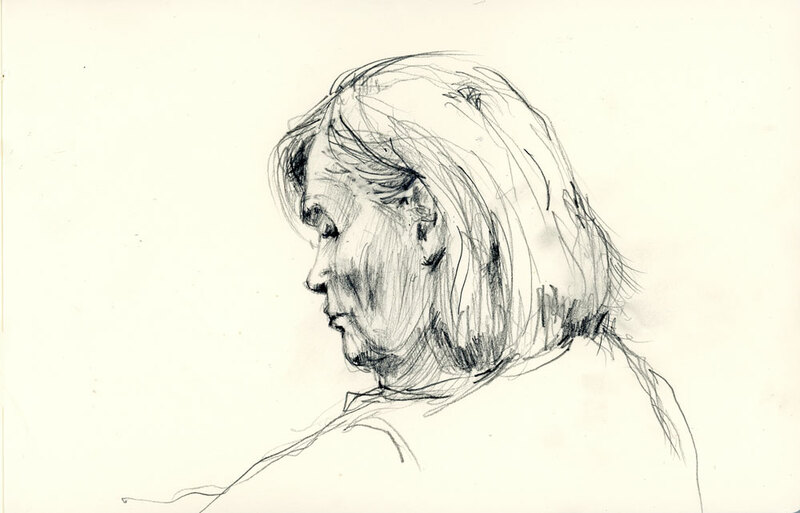 This was sketched in a Stillman & Birn Beta series, thanks to the generous folks at Avenue des Arts in Montreal. I was in the store yesterday and found out that they will be carrying the Stillman & Birn line in 2014. 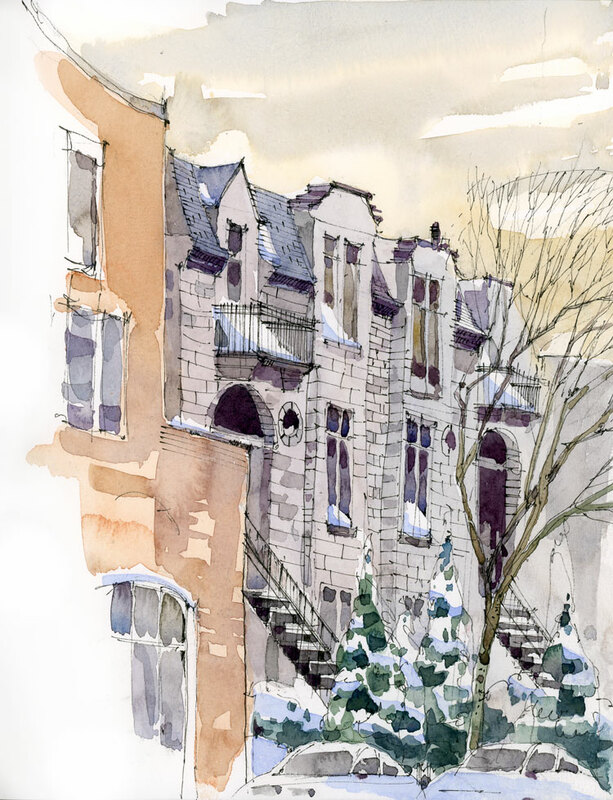 Great news for fans of these sketchbooks, as they were previously unavailable here. It’s impossible to use my car studio on a day like today. It’s just too bitterly cold, even for a winter painter like me. The weatherman described the morning haze in the air as “ice fog”, a term I had never heard before. The best solution for these types of days is to draw indoors, or find a window seat at a café and stay there until the room fills and the windows steam up, at which point you hope your sketch is done. 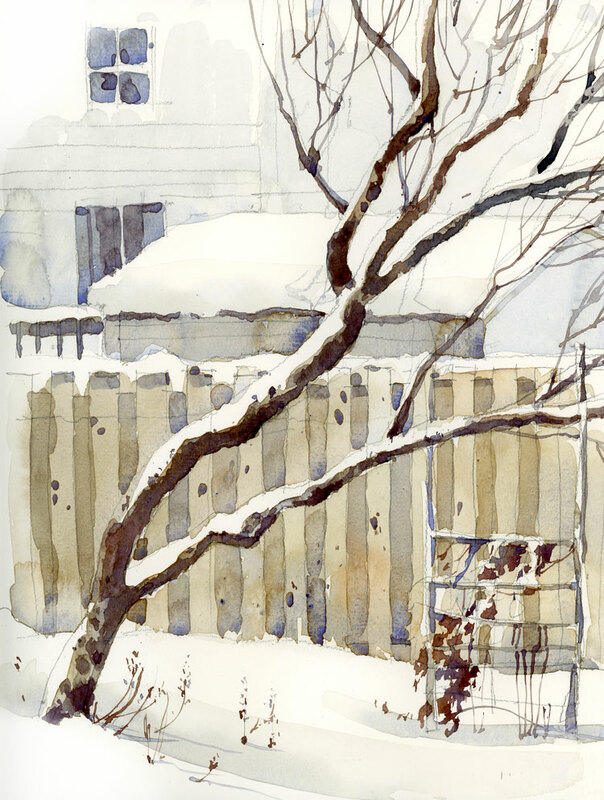 I was just reading an article about painting snow scenes in a recent watercolour magazine. 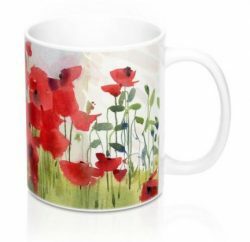 Each artist whose work was featured used lots of frisket to maintain the white areas in their paintings, but in my quick sketches that seems like a time-consuming proposition. Waiting for the frisket to dry would use up all my precious sketch time. I think that with a bit of careful planning you can paint around the white, the bigger areas at least. And then if need be, come back later with a bit of Chinese white to add a smaller snowflake or two. Drawing a freehand circle is pretty difficult for me. Drawing two freehand circles is even worse but looking at the negative shapes helps. 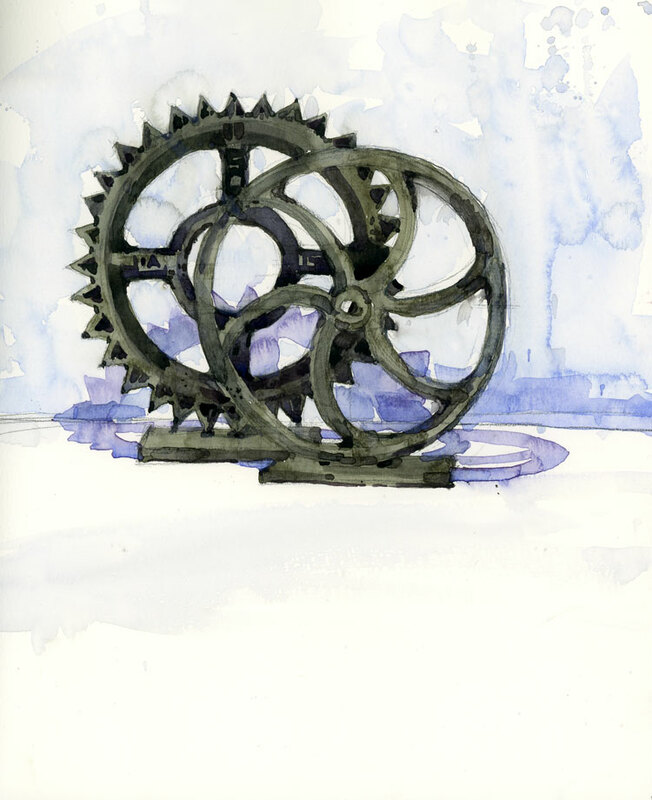 I suppose my inaccuracies would be less obvious if I hadn’t placed the gears against a white background. I think this is one of those subjects that I will also try in pencil (with an eraser in the other hand), but maybe against a darker background next time!